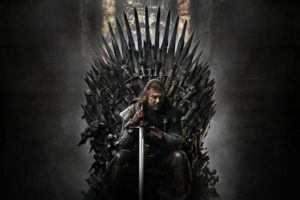 The country’s lucrative Lord of the Rings film tourism could be under threat from Ireland’s Game of Thrones. 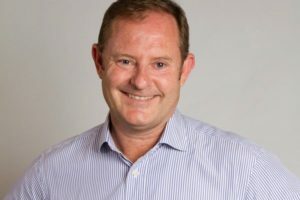 Despite focusing its entire marketing on shoulder seasons, peak season arrivals growth still outstrips autumn and spring. 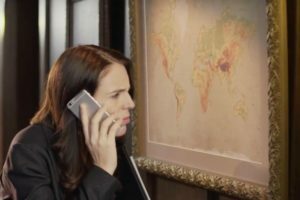 The New York-based agency will push Tourism NZ’s overseas campaigns. 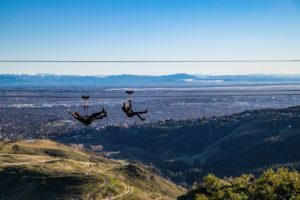 The call comes as the proportion of tourist spending on activities drops. 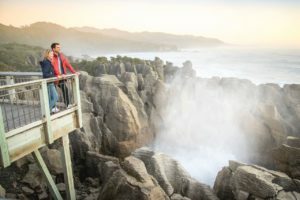 Tourism New Zealand has teamed up with National Geographic to launch a global campaign that focuses on the “new territory” of promoting New Zealand’s people and culture to potential visitors. 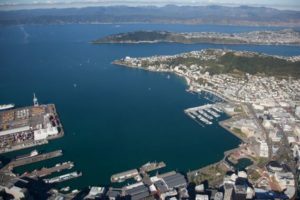 Tourism NZ’s chair says the agency has cut its visitor arrivals growth expectations this year by almost half. 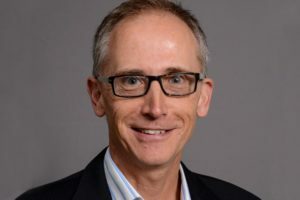 Tourism New Zealand chief executive Stephen England Hall said it is too soon to know whether the current uncertainty around government relations with China will affect visitor numbers. 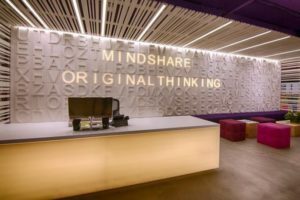 TNZ is on the hunt for a new global media agency to help drive its message across the world. 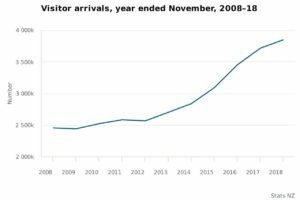 Overseas visitor arrivals in November 2018 increased by 3.2% to 385,789 compared to the same month in 2017, driven by growth from Australia, the United States and Taiwan. 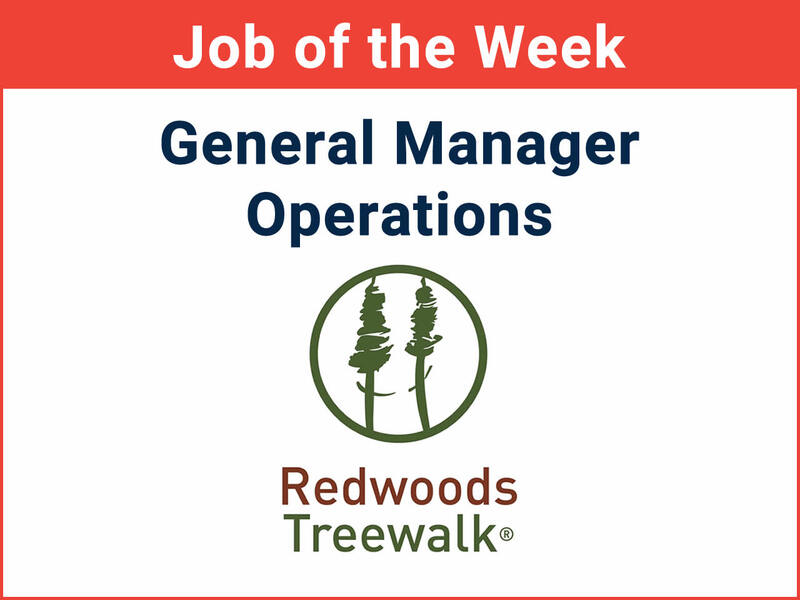 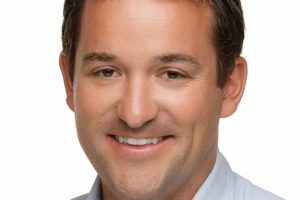 One staff member was paid out close to $100,000 following a restructuring at the agency. 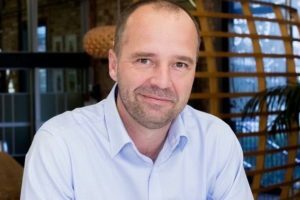 In a year of initiatives and alignment, TNZ’s CEO says a solid foundation for the work to come has been laid. 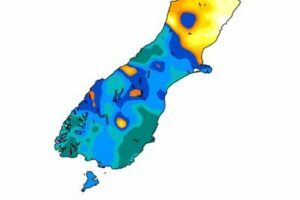 It is not just lower South Island operators having to contend with an unseasonable bout of winter weather, which has seen snow cover the Southern Alps and flooding affect Otago’s east coast. 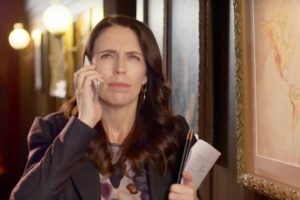 Craig returns to TNZ as hunt for creative director extends into 2019. 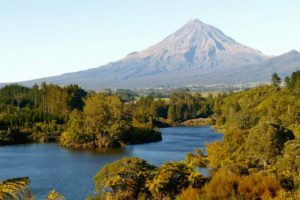 Tourism New Zealand has put its hunt for a director of creative and content on hold. 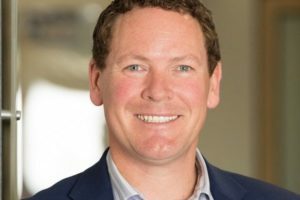 Qualmark’s new award aims to recognise the cream of NZ’s tourism industry. 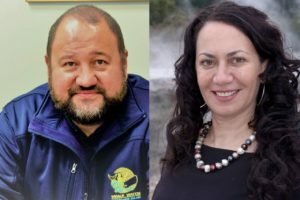 Sir Peter Jackson and singer Ed Sheeran (kind of) join the campaign. 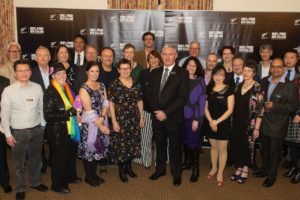 Tourism New Zealand last night acknowledged the successes of a select group of conference sector specialists who have won events that will plough an estimated $37m into the New Zealand economy. 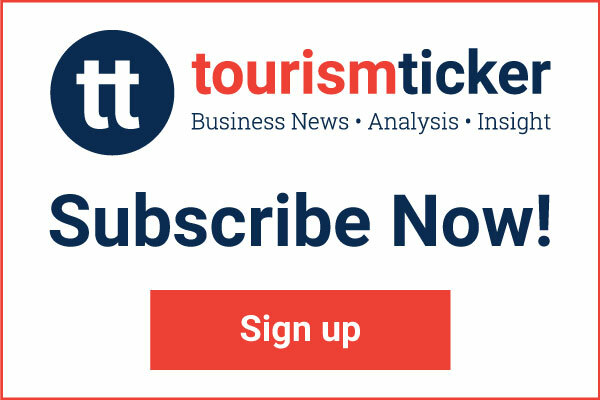 The initiative aims to encourage greater use of tourism data to help industry and investors. 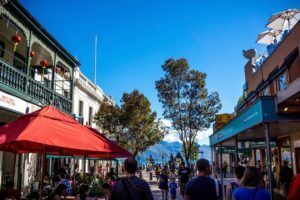 Tourism New Zealand spent almost $126m marketing New Zealand as a visitor destination last year, according to its annual report. 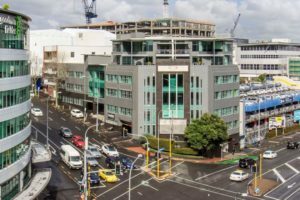 The Ticker takes a close look at TNZ’s performance this week but starts with how it sums up its own work over FY18. 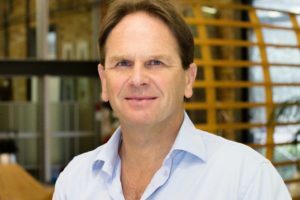 Shared global thinking is crucial to the future of the tourism industry, according to Tourism New Zealand chief executive Stephen England-Hall. 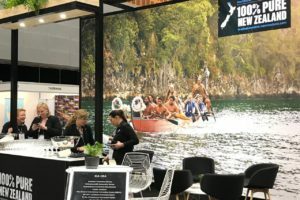 Trans-Tasman business events have been given a leg-up following a Tourism New Zealand-led workshop focused on the association market. 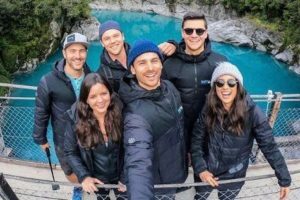 Tourism New Zealand has invested $1.4m in its first tie-up with GoPro as part of the agency’s annual South Island Journeys campaign aimed at encouraging Australians to explore the South Island in autumn. 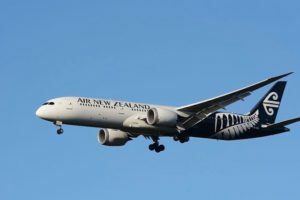 Tourism New Zealand and Air New Zealand have partnered to offer North American visitors a free domestic flight from Auckland to anywhere on the airline’s network. 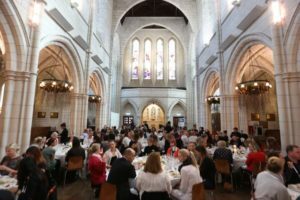 The event will bring more than 100 i-SITE owners and staff from across the country to the region for five days in September next year. 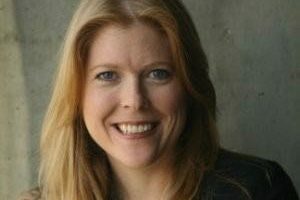 Tourism may be booming but the i-SITE network is not seeing it in sales. 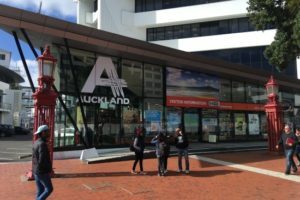 Centres in Auckland, Rotorua, Palmerston North and Matamata have been recognised. 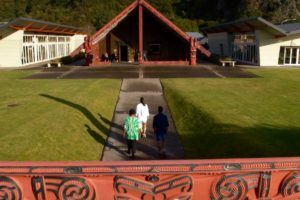 Minister Kelvin Davis has ramped up the level of Māori tourism and cultural experience on the board. 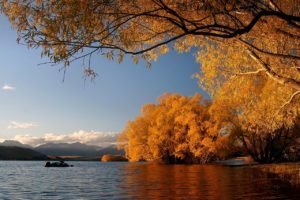 The annual South Island Journeys campaign has been extended to Western Australia and will run for twice as long. 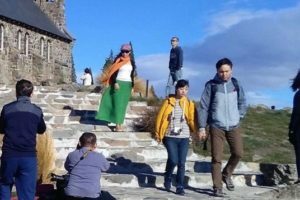 The growth of customised tours for Chinese visitors to New Zealand has been given a boost by a new memorandum of understanding between Tourism New Zealand and Ctrip Customized Travel. 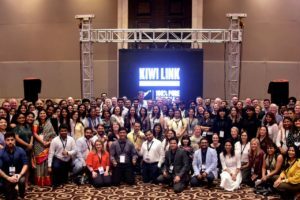 Tourism New Zealand and Conventions and Incentives New Zealand have reaffirmed their partnership to secure more business events for NZ. 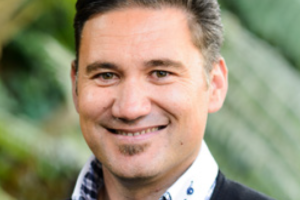 An elite quality assurance award targeting NZ’s top operators and leveraging the ‘100% Pure’ brand is about to launch. 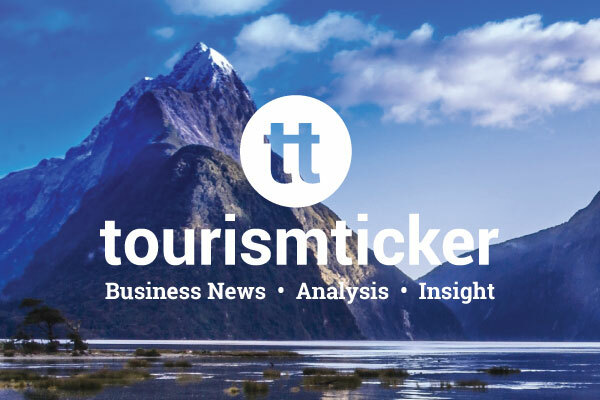 Tourism New Zealand has clocked up $290m of international online, print and TV coverage in the past twelve months. 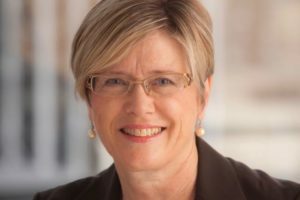 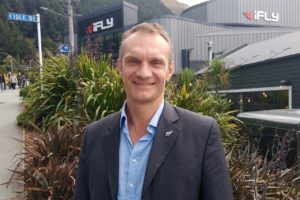 Tourism New Zealand’s general manager of Americas and Europe is returning to New Zealand opening up one of the most important roles in the country’s tourism industry. 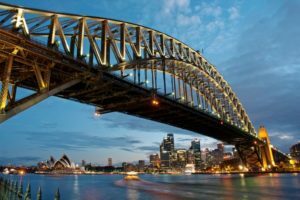 A slowdown in the visitor economy growth rate is expected over the next year. 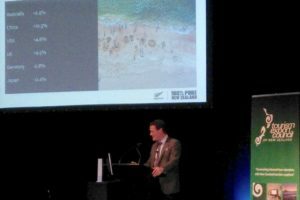 Tourism New Zealand has today launched a reformatted road shows event introducing more external views of the industry, workshops, alongside increased regional insight. 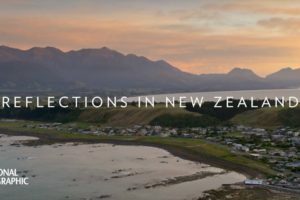 Four new videos showcase the country’s people and culture alongside its landscapes. 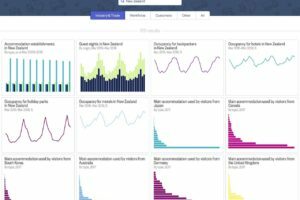 Tourism New Zealand is increasingly utilising its data and story telling expertise in collaboration with small regional tourism organisations as part of its new focus on destination readiness. 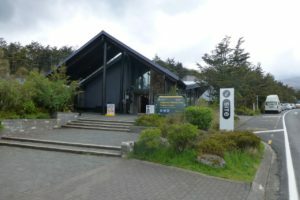 Tourism New Zealand has created new internal teams but some staff have missed out on being redeployed. 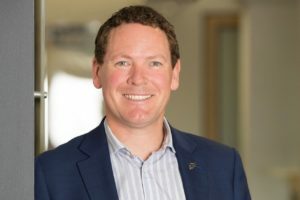 Following a wide-ranging review, Tourism New Zealand has rejigged its senior leadership team. 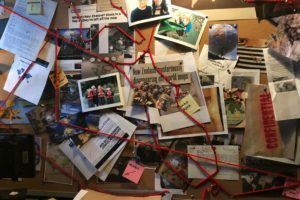 #GetNZontheMap and Heart of the Long White Cloud collectively cost the agency just over $1m to produce.